There was a time when video phones, like teleporters and flying cars, existed only in the realm of science fiction. One of the earliest examples appeared in Fritz Lang’s 1927 film “Metropolis,’’ and others followed in “2001: A Space Odyssey’’ and “The Jetsons.’’ In each case, fictitious characters communicated over big, charmingly boxy appliances, but the video phone never became a reality in American homes. When it does, it will be far sleeker: The latest iPhone, unveiled by Apple this week, pulls video conferencing out of tomorrowland and places it into millions of hands around the globe. As long as they’re in range of a wireless Internet network, users of the iPhone 4 will be able to see one another at any time. Of course, this may be a mixed blessing. While video phones will discourage, say, multitasking in the bathroom, they also get in the way of playing hooky and telling white lies. And is there an app for hair and makeup? In a world where technology already makes it so hard to unplug, there’s a downside to being viewable at all times. 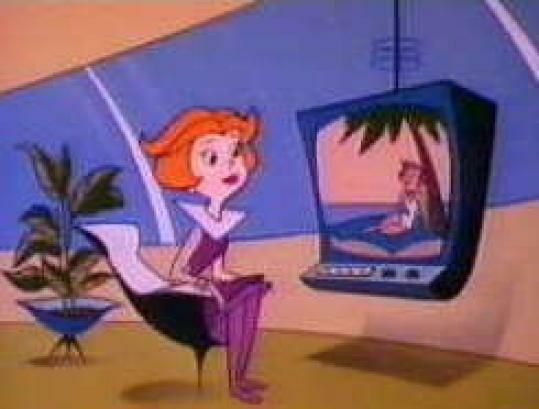 What worked well in Jane Jetson’s living room may not translate so seamlessly into pockets and purses in the real world.